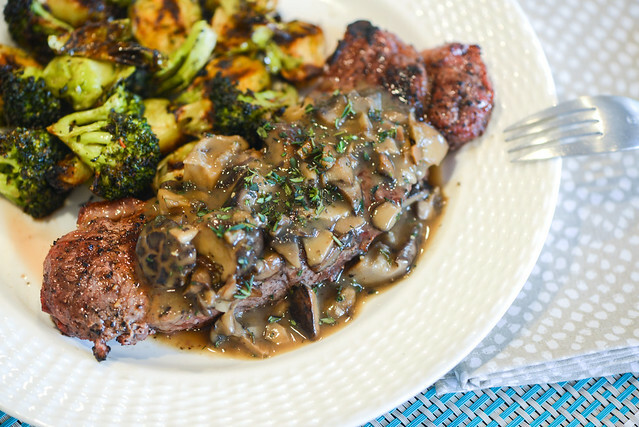 Mushrooms are such a great side for steak—they're heartiness stands up well against filling steak and their woodsy and earthy quality is a great compliment to intense beefiness. The only problem is that one too many times (once is really too often here), my wife and I have ordered the mushroom in steakhouses only be disappointed with sour, mushy canned mushrooms swimming in a pool of butter and not much else. So when cooking a couple steaks at home recently, I wondered if I were to make some shrooms worthy to sit alongside grilled beef, what would they be? 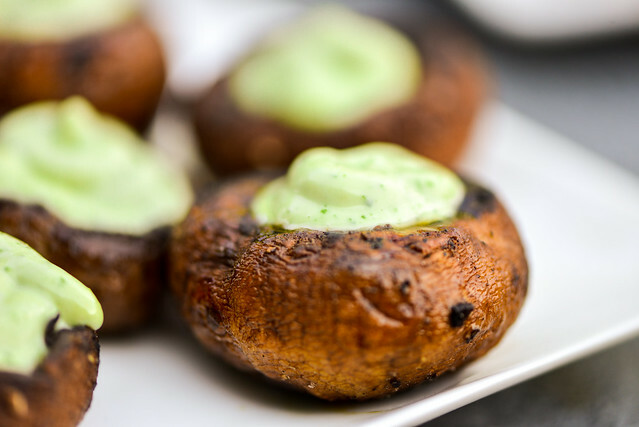 The answer were these herb-crusted grilled mushrooms. 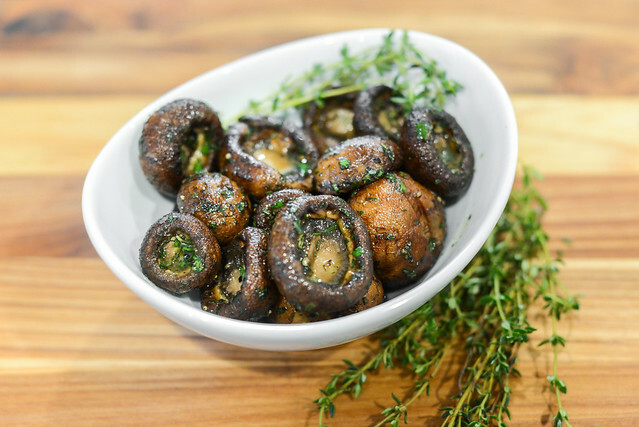 After scoring a win with barbecue tofu—which just further went to prove that most anything can be made better with barbecue—I decided to take a chance on a repeat vegetarian success, but this time using portobello mushrooms. I've always been told, but have never quite been sold on the idea that portobellos are "meaty," which really just speaks to their heartiness more than flavor or texture in my opinion. 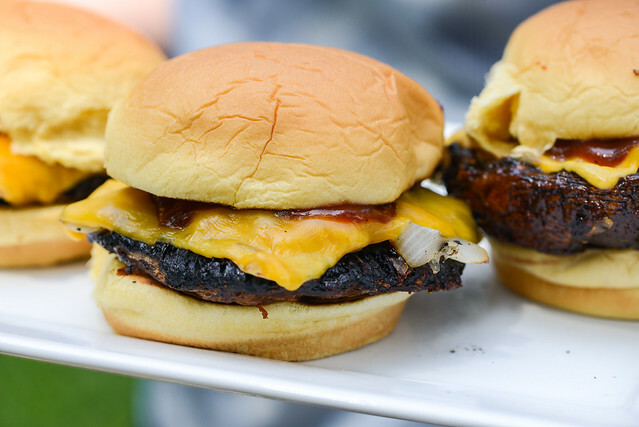 That notion though led me to treat these mushrooms as "burgers," and one of my favorite burger topping combinations is grilled onions, cheddar, and barbecue sauce, so that was exactly how I served these up. I know Christmas hasn't even passed yet, but I'm already looking ahead to New Years. While my attention at Christmas wanders to grand mains that command a presence at the center of the table, New Years is all about the finger foods. Keeping up the excess and richness of the season, I like to go a little bigger in scope on New Years than my everyday wings or peppers—although there's always room for those as well. When considering a stuffed mushroom that might be suitable for the celebration, the standard cheese and breadcrumb mixture didn't seem take things far enough. 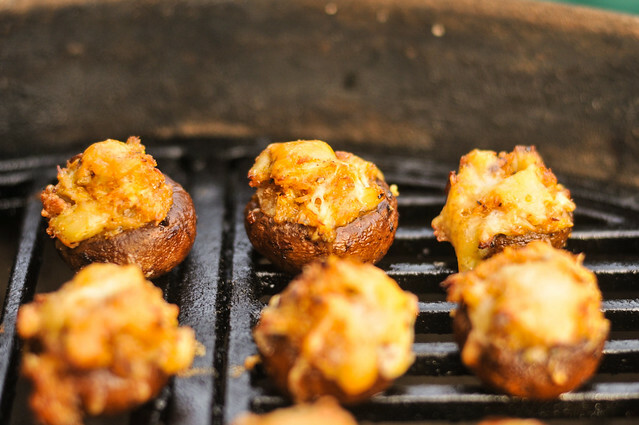 So I went in search for some inspiration and came across these crab and Fontina stuffed mushrooms and thought they were the answer I was looking for, so I gave the recipe a try.